Founders see opportunity and act. They are the first on the field, taking risks and imagining the rewards. Founders change how the world operates. They possess characteristics to be admired, and create legacies to be followed. With great regret, we announce the passing of Bill Cooper, founder and CEO of Spectronics Corporation. He leaves behind the sum of his insight and aspiration. Bill and his brother, Morris Cooper, founded Spectronics Corporation in 1955. The two brothers saw the promise of ultraviolet technology and its many applications – the breadth of which began with detecting fluid leaks in automobiles. Over the years, Spectronics has developed many pioneering products and continues to be a world leader in dozens of markets, including non-destructive testing, biotechnology, forensics and leak detection. Hundreds of major OEMs across the globe rely on the Spectronics brand. For more than six decades, Spectronics Corporation has been an enterprising partner in the research and scientific fields. The U.S. Environmental Protection Agency awarded Spectronics the Stratospheric Ozone Protection Award for developing technology that reduces harmful emissions of ozone-damaging chemicals. The company supplied UV lamps that were used aboard the U.S. Space Shuttle to study the effects of zero-gravity on matter. Spectronics provided UV crosslinkers and transilluminators that were used for groundbreaking research to map human DNA as part of the Human Genome Project. And as of today, over 210 million cars have used Spectronics’ fluorescent dyes to pinpoint fluid and air conditioning leaks. Bill Cooper, a true pioneer of his time, recognized that the people he recruited were critical to his vision. Because of this, it was Bill’s mission to foster a close, tight-knit environment at Spectronics, making sure that everyone who worked at his company supported and elevated one another. 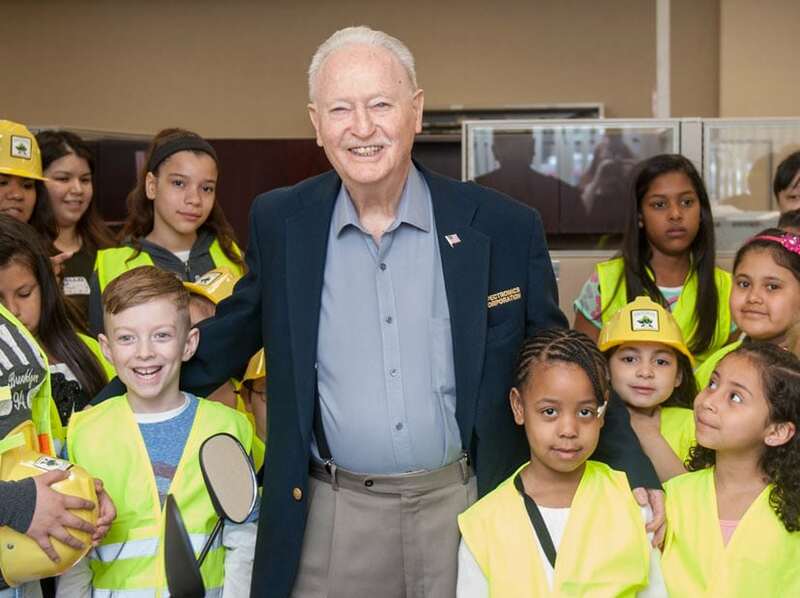 Even in his latter years, Bill was active on a daily basis at Spectronics’ Westbury headquarters, asking each employee how they were progressing in their work – and inquiring about what they were doing in their personal lives, always making himself available to them. Spectronics Corporation is moving firmly into the 21st century, embodying Bill Cooper’s entrepreneurial spirit and keen business acumen. The values Bill had demonstrated continue to live on at the company he created. The same pioneering innovation and market leadership advances into tomorrow. And the people Bill guided will take the next steps, setting the company on a new path toward even greater success and global impact.